Ho Ho Ho&#x27;s Grinches on the Go Dashing Through the Ks Santa's helpers The Grinchez Run4Fun 12 Days of Divas King Charles peasants K Macs Jolly Elves Smith Family Tree Team Burge Ho Ho Holcombes Hot mess express Life is Many Days Aunt Clara&#x27;s Pink Bunnies Wolgamot&#x27;s Christmas! Son of a Nutcracker Team BBC Cluster of Muckers Bad a$$ IC's Happy Feet The Bellas Tempe Trotters Griswold Team Fuego No teams to display. Includes registration, bib, medal and shipping. Medals will be mailed out to the address on file. Join this great cause. Start your 12K one "K" at a time. It's not too late to add this edition to this years 12Ks (Snowflake) edition. TWIST ALERT!! This Virtual 12K consists of 12(1)Ks. Step up to the Christmas challenge by doing (1K a day) before Christmas; starting on the 12th of December. 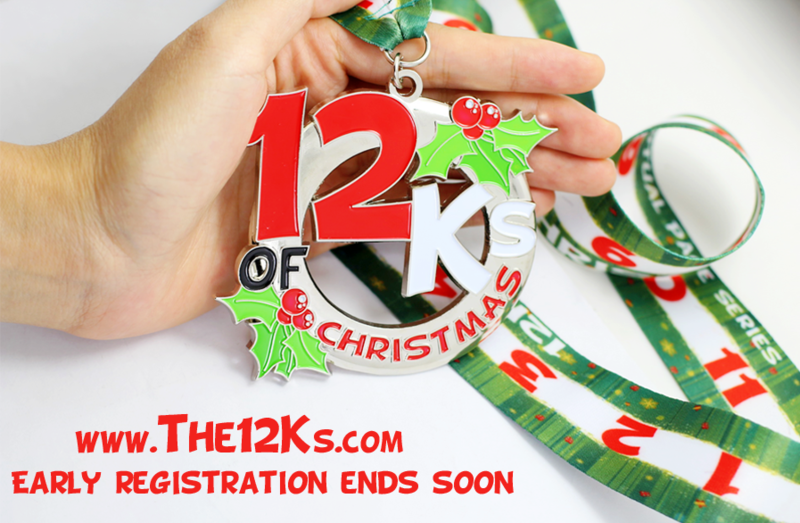 You've done the typical holiday 5K, but are you ready for 12 days of 1K? You've got this! 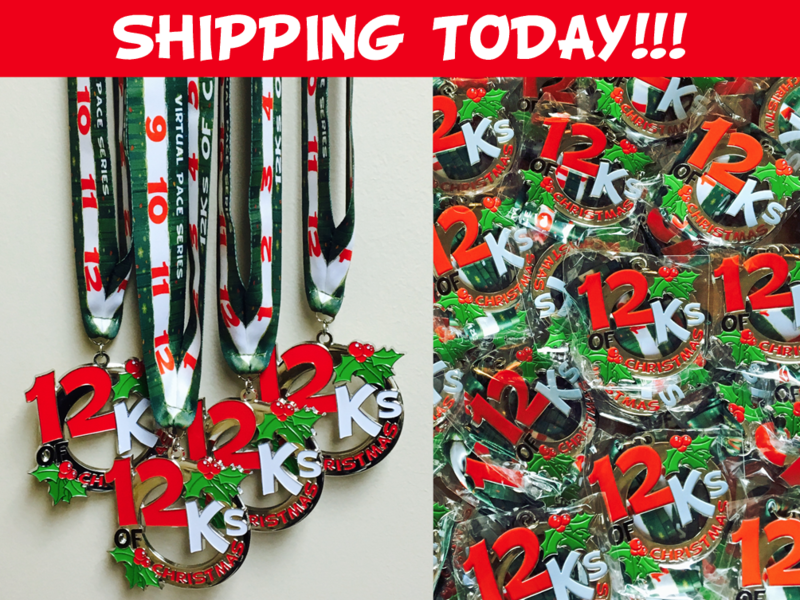 Early registration is now open, includes 12Ks medal and bib. This is a limited edition medal. Once they are gone, they are gone!